Over the past few decades, technology has transformed our lives in ways we couldn't imagine. At this pace, Artificial Intelligence is not a Sci-Fi movie any more. Every industry out there has been making use of tech in their own ways to make an impact in this world. 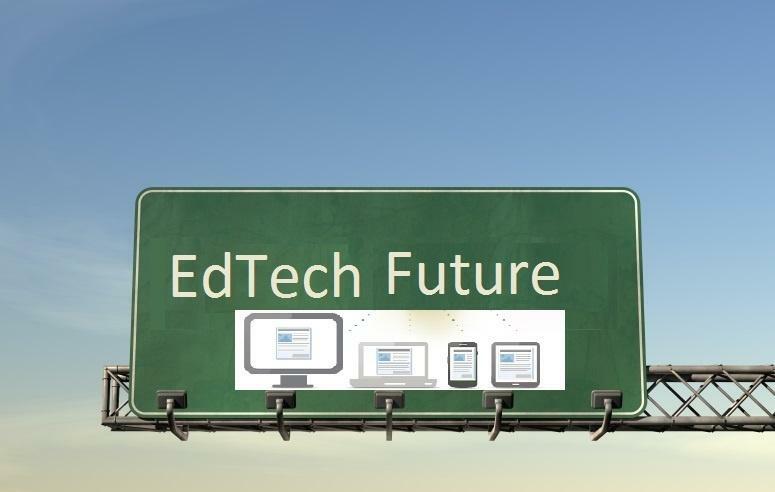 The education industry is also taking steps to keep up the pace. Or is it? Education was delivered to homes in the form of “Videos” when the television was first made available to the masses. Today, making use of the internet, it is delivered to a larger number of homes in the form of “Online Videos”. Is this what we call the Ed-Tech revolution? In order to understand the future of education, it is important to understand how it has evolved till date. Even though the ways of learning have been debated for centuries what we all could agree upon is that we have come a long way since the stone age, and it wouldn’t be possible had education not evolved the way it has. Humans quickly identified that kids take more time when they are learning on their own and decided to pass on their learnings to their little ones in order to speed up the learning process. Guess, these were the first signs of formal education in the history of mankind. Building on the success of transferring knowledge within families, humans decided to standardise the process of education for the betterment of the human race altogether. Formal education thus became the way of life for kids until they are ready to take up the challenges of adulthood. Wow! Did you know, we have been following this practice of standardized education for more than 5 centuries. Had I written this article 50 years back, I would have praised the system like any other mature adult. After all, it is this education system that made us what we are, even today. The problem is that we don't live in 1950s, and the world is nowhere close to what it used to be back then. We have grown from following mandates to challenging the status quo. We have grown from a hierarchical society to a structure that respects every life that made it’s way on this planet. I come back to what was stated in the first paragraph - Technology has transformed our lives, but education and its processes remain the same as they were years back. If the children of today, need to survive, they aren’t going to face competition from wild animals or aliens. They are going to be challenged by man’s own creation - The Artificial Intelligence. And the only thing that will allow them to survive is their “intuition”. Standardizing education limits a child’s ability to see beyond into a world that we adults cannot, and thus killing their instincts to drive this world into a better future. Asking a person to change his beliefs is a hell of a task. Think about how big is the task of changing a process that all of mankind has been following for more than 500 years. Well, maybe, it is not that difficult if we make good use of our knowledge and resources at disposal. So, how would education evolve if it is given the opportunity? How would the children of tomorrow be better learners and ensure a sustainable future? As a human with no super-powers, it is not possible for me to predict the future. However, what I can do is identify the pain points in the existing system and identify possible solutions. If a movie about Gandhi inspired you, you really don't want to wait until the school says “You are ready for the Gandhi story!” The standard approach is only going to disappoint you. • Pace - If you are a parent and have ever googled about your child’s development stages, every article or video will tell you that each child is different and will learn at her own pace. When we know that all kids are not the same, why force them all to learn at the same pace? If education has to be meaningful, it has to be at a personalized pace as well. • Interests - Kids have different interests at different phases of their lives. In order to ensure that the time a kid spends learning is highly productive, they must be taught about topics they are passionate about rather than topics that schools / adults consider important at a particular point in their lives. As an adult, you are passionate about cooking, but you are instead expected to pursue a career in engineering. How exciting (or not)!! Learning subjects is going to be obsolete in the years to come. The government of Finland (one of the most advanced educational system in the world) believes that the subject-based approach doesn't engage kids in learning. They have adopted to a topic-based approach instead. Approach 1: A for Apple and B for Ball!? Why the sudden switch from fruits to sports? Approach 2: Imagine how it effective learning would be to learn all about fruits when you are studying fruits. Spellings of fruits, how fruits grow, why are they beneficial to us, and how they are different from vegetables. All this and a creative learning ecosystem? Does it sound an impossible thing to do? Well, it might not be that difficult if you are able to create a platform for kids that answers the following questions. Would it allow kids to choose their own learning material? Would it encourage them to modify the material to suit their taste? Would it engage them enough to learn about the topic in detail? Would it motivate them to explore more linked topics? Would it teach them various subjects like language, math or science? Would it be more effective than the existing practices? If you think you have answered a “YES” to all the questions, tell others about this new educational world in the comments section below, or maybe you should just start building it! Vandit has spent some quality time working in an industry he was extremely passionate about – Video Games! Inspired by the impact games have on lives of players, he decided to build a learning environment with elements from video games. He is now the Founder and CEO of Dweek Studios that develops Educational Games for children.